Life’s all about the struggle and the decisions that we take in our career. Just a wrong step and everything gets destroyed and henceforth we need to think , rethink about what we are doing and we are about to do. Today at Students Stories we got a Success Story which can be compared to Robert Frost’s greatest creation “The Road Not taken”. We have with us very talented, hard-working and enthusiast Duo. They are the Younget Music Duo of Central India. Meet BassandBeard who have got their songs played by Legendary David Guetta , W&W Hardwell, Borgeous and many more. The Best and the greatest thing about this Duo is, one of the member is a College Dropout, who was going to become a successful Dentist in the future ahead but had his heart and soul got attached to Music. So he decided to quit the Dental Study and devoted his everything to Music. They both contribute 10hrs daily to keep up with the competition from others, creating great tracks and compositions. This Success Story is really a must read one , So Let’s not waste time and quckly go through it!!! The Youngest Duo of Central India….. 1.) What are the major obstacles you see in your path currently as a DJ? Currently as a DJ it is challenging for us to make music as well as to entertain the crowd by playing it. Nowadays young DJ‘s have to be all-rounderss. They should know how to produce music what music suits the crowd as well as a bit of Designing and editing for the covers of their songs. So it’s quite hectic you know!! The SWAG Boys of Bass&Beard!! 2.) How difficult was it for you to start as a composer or a DJ at such an early age? What kept you going? At the beginning it was tough all I knew was that I have to work hard and produce a good hit to reach somewhere because just DJing is too generic these days. So working day and night on new music and getting good response from big producers helped us out and kept us Motivated. 3.) Being a Composer, how do you make new compositions to gather the audience attention? As a Composer of Dance Music first thing I imagine is being a part of the crowd I imagine if I go to some concert and my song is played will I dance on it? 4.) During this long struggle what did you learn to share with the young folks out there for their future? For all the young producers out there i want them to keep making new stuff and never get depressed if anything is not happening. It takes time, patience is the key in Music. 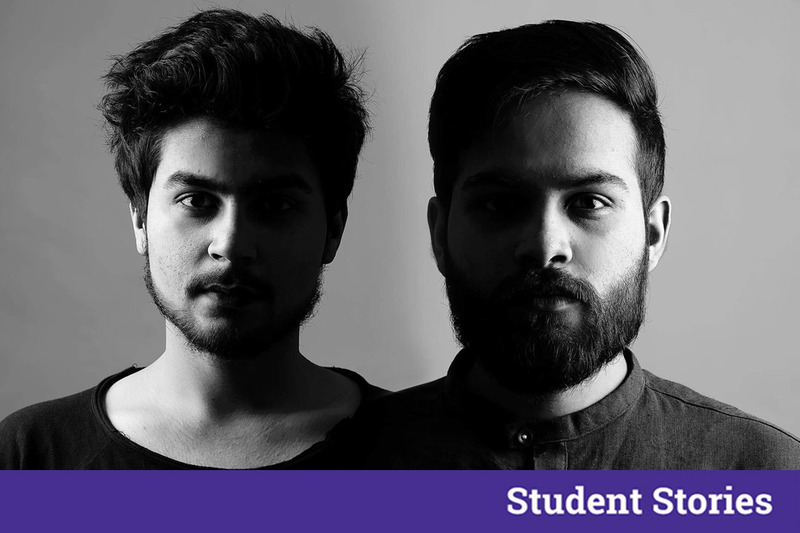 ALSO READ : Meet Suyash Bijalwan The Founder of Indian Pop/ Rock Band-“Nishchay”- The Indian Pop Rock Band Which Is Mesmerizing The Audiences With Its Grandeur Performances ! 5.) So what are your future plans, where are we seeing Bass&Beard in the coming time? Future plans as a part of Bass&Beard is to make the best possible dance music in India and I’m sure this Year is going to be huge as we have a couple of Hits coming soon. 6.) During the long working hours, how did you take time to chill or to relax? Whenever I feel stressed, for me the best remedy has always been either Football or Xbox it seriously refreshes the mood and once everything is fine, I return to music. 7.) How you managed to keep yourself calm and going whenBas&Beard received so many rejections? Rejections are a part of life. We never imagined get signing on or revealing so early it can take years or can never happen. So we knew that this is the reality and yes we worked harder each day making something new. 8.) What’s the specialty of Bass and Beard? Why Bass&Beard, and not something else? Bass&Beard is the combination of 2 enthusiasts who give their everything on music everyday. There’s no single day that we didn’t work on making something new. Also I left my Dental studies after completing 2 yrs in college.Our music is energetic our sound is new and our sets are on Fire!!! 9.) What does music means to you and how do you manage the errors while you’re working? Breaking The Stereotypes Set For Models In The Indian Society With Her Talent And Confidence, Meet Sana Mongia! !